Hello internet world! Happy day on mon, Mon of day, Monday! It's been a busy ol' week, a flu-like illness was nearly the end of me over the weekend. On top of that me & Jack spent the week preparing for the big ol' house move. ANYWAYS- FASHUN TALK.Yes guys, the ASOS sale is here. & this post is OH SO RELEVANT to the sale. 3 items are infact sale! With direct links below, get your paws on these beauties! I'm not sure why but I'm getting some serious Fleetwood Mac vibes. Feeling me? I LOVED this black and white co-ord. I found the flares were SO flattering, which can be a little tricky to pull off. I had to separate the two piece with my favourite western belt from Boohoo, which was an amazing £6 bargain! The co-ord has literally just gone into sale this morning I believe, and the prices are superb. 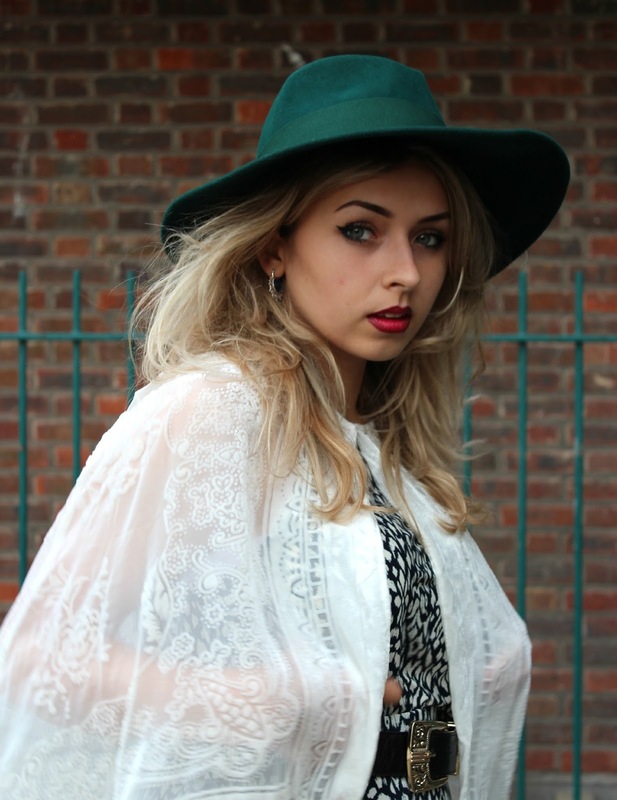 I teamed the two piece with this gorgeous lace and velvet burn out fringed cape. it just takes me back to the home page, even though it is saved in my saved items page! Grrr. So what do you team with a fully monochrome outfit? A gorgeous green fedora with a bright red lip OF COURSE! Loveee the hat, don't think I've ever seen a wide brimmed green hat before.. And I definitely love the cape more now that I realised it was a cape that actually fastens, I hate it when they go all lopsided haha, love how summery it is, too! 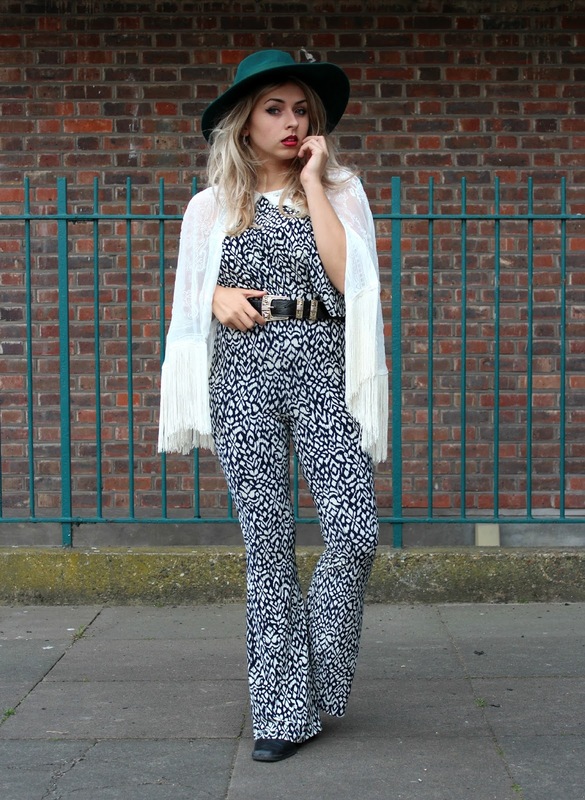 Loving the Fleetwood Mac vibes, and loving your blog too! Just discovered it, you've got a new follower!